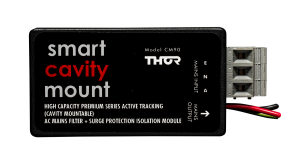 The Smart Series Hardwired range incorporates Thor’s unique Dynamic Active Tracking technology that is the most comprehensive and advanced solution to protect equipment from the ‘mains circuit board’ and behind the GPO (power point). 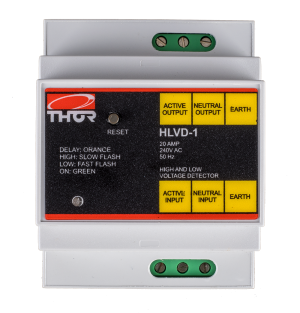 The best defence against damaging voltages is a 2-sided approach: a high capacity mains protection and filtration unit (Din Rail Mount – DRM95) and a dedicated power board for dedicated, digitally sensitive equipment (computer, TV, amplifier, washing machine, fridge etc). 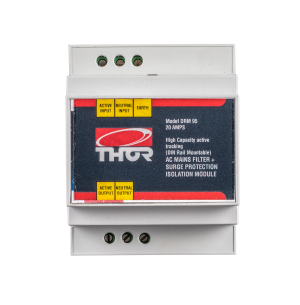 Hardwired range is designed to offer maximum protection and filtration from power fluctuations and ‘noise interference to ensure equipment is operating at maximum performance levels. Check specification attributes on any power protector such as Amps, Joules, Reaction Speeds and Clamping Voltage. 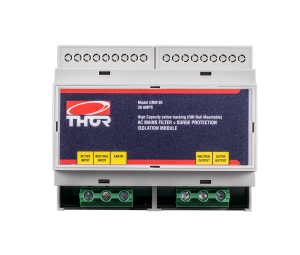 All Thor products typically have 4 – 8 times the amount of protection than the industry standard which is why Engineers and Electrical Designers trust our products for their high quality build and superior performance.